Chat to our white lions.Bounce on the jumping castle. And more! 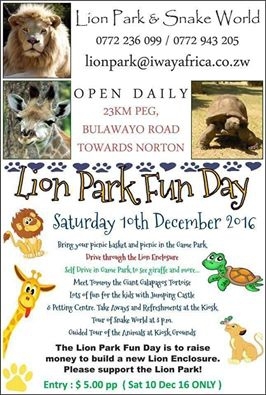 Lion Park is so close to Harare - it is a protected area because of the rock paintings and for the last couple of years we have been doing everything we can to try and keep it safe and as wild as possible.... Share in the wonder of nature.